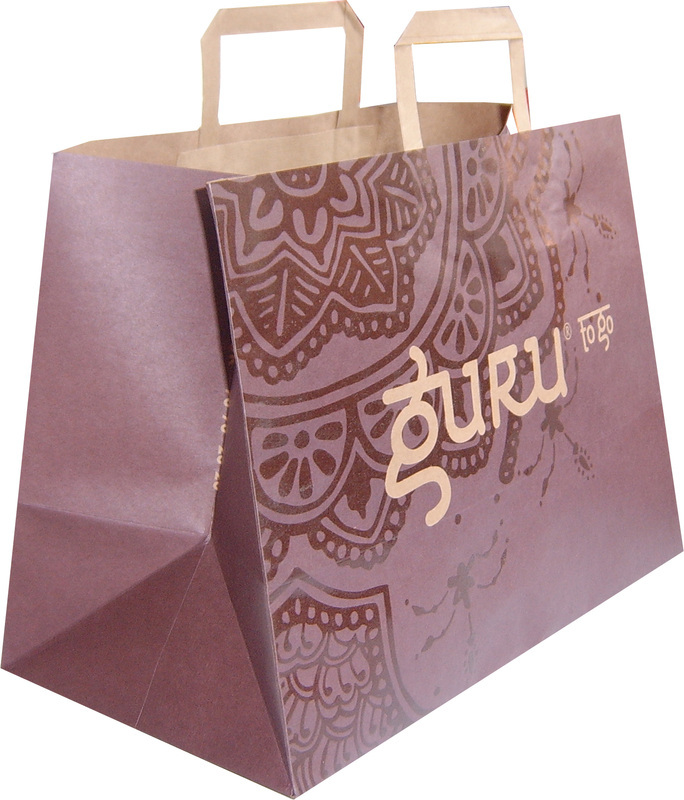 Flat paper handle are made of recycled kraft paper,folded 3 or 5 layers into handle shape,glued into paper sheet that are easy to glue on kraft paper bags.In this way, kraft paper bags with flat handle construct shopping bags with low cost. 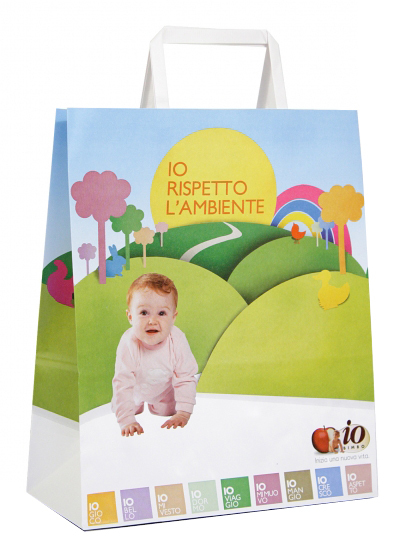 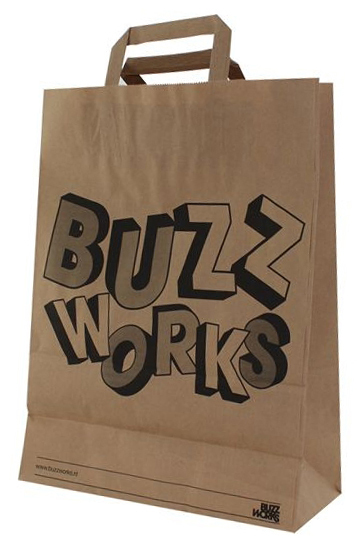 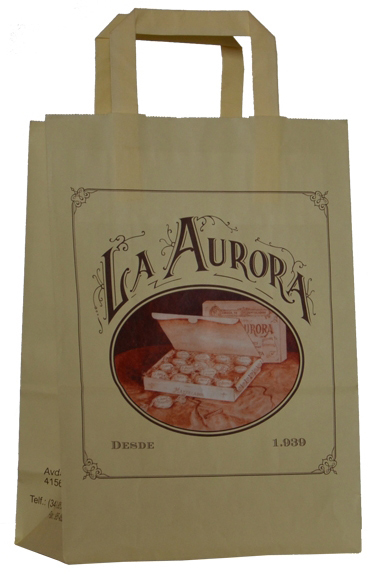 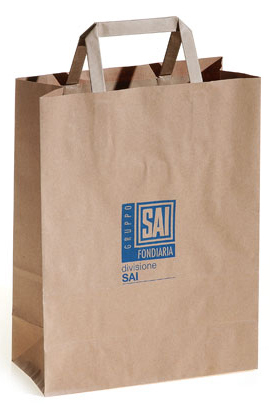 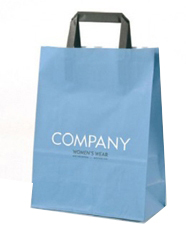 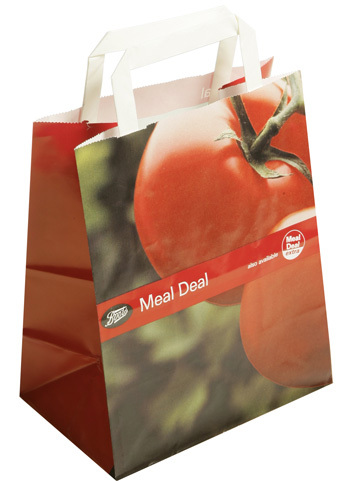 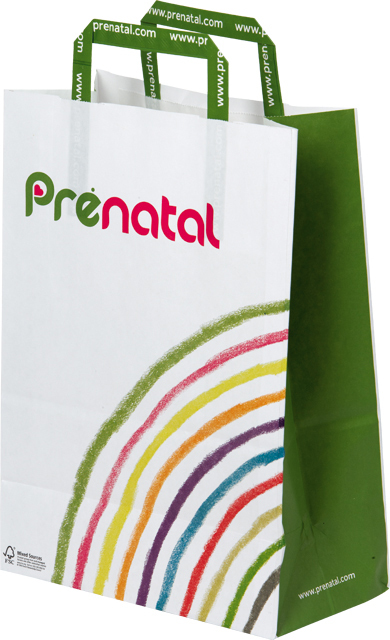 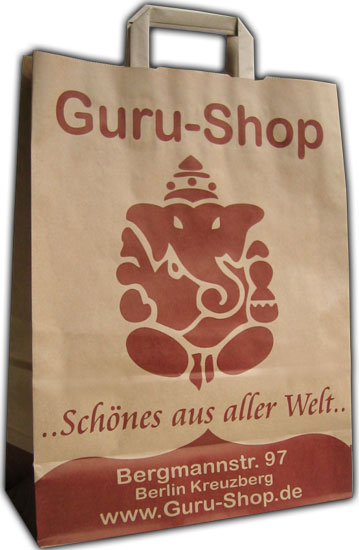 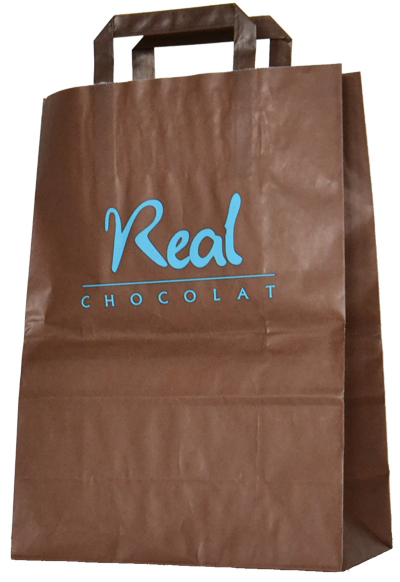 Because kraft paper can be printed any color even custom logo then folded into handle,Flat paper handle offer any color to match bag or business brand to get eye-catching effect.Flat paper handle kraft bags are made of brown kraft paper or white kraft paper,whose grammage range from 80g,100g,120g,150g, to 180g to fit different weight products.Flat handle kraft paper bags are available in any color to print custom logo,business image---offset printing offer pantone color to match business brand and CMYK color(full color printing) to reflect business image. 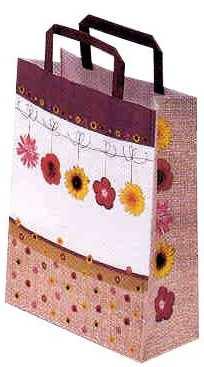 And many finishes process such as hot stamping,embossing,uv spot varnish can be chosen to highlight business logo for branding and marketing.Flat handle kraft bags are available in any size too,Gift Boxes Shop offer not only auto-machine made flat handle kraft bags to suit large quantity demand, but also hand-made flat handle kraft bags that have no size limit and no minimum order quantity to suit for small order,if you just need hundreds of flat handle kraft bags,4PaperBag is good place to get them with custom made size,color at cheap price. 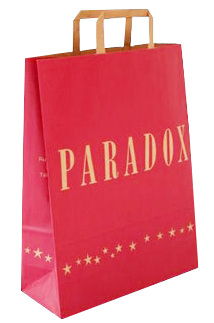 custom made,any size is available,most popular sizes include mini bags 3x2x5" small bags 5x3x8" madium bag 8x4x10",10x5x13" boutique bag 16x6x12",large bags 12x6x16",extra-large bags 16x6x19"